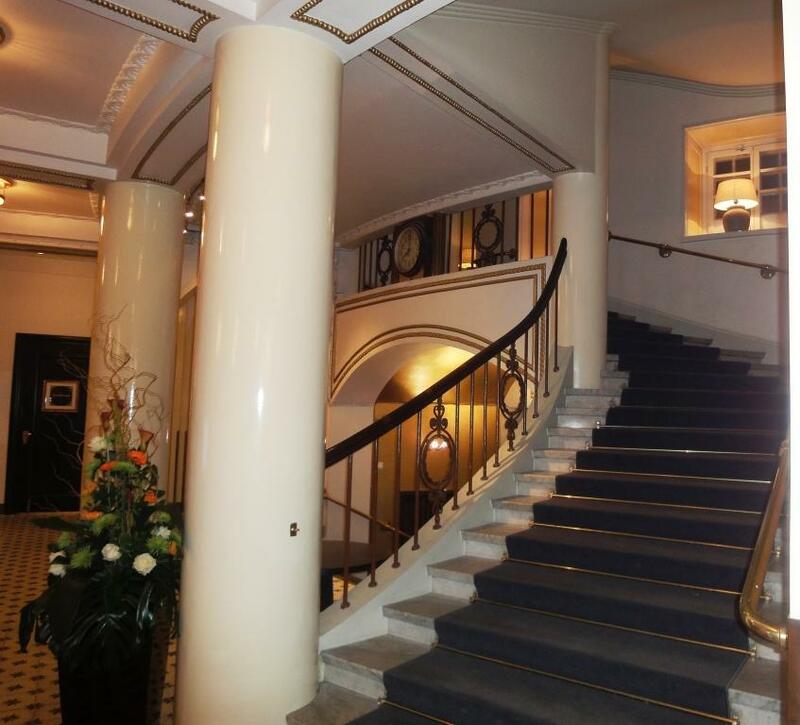 Hotel Seurahuone Helsinki, located by the Market Square and housed in a building designed by Carl Ludvig Engel, held its grand opening on 8 December, 1833. The hotel relocated to its current premises in Kaleva Palace opposite of Railway Station in 1913. 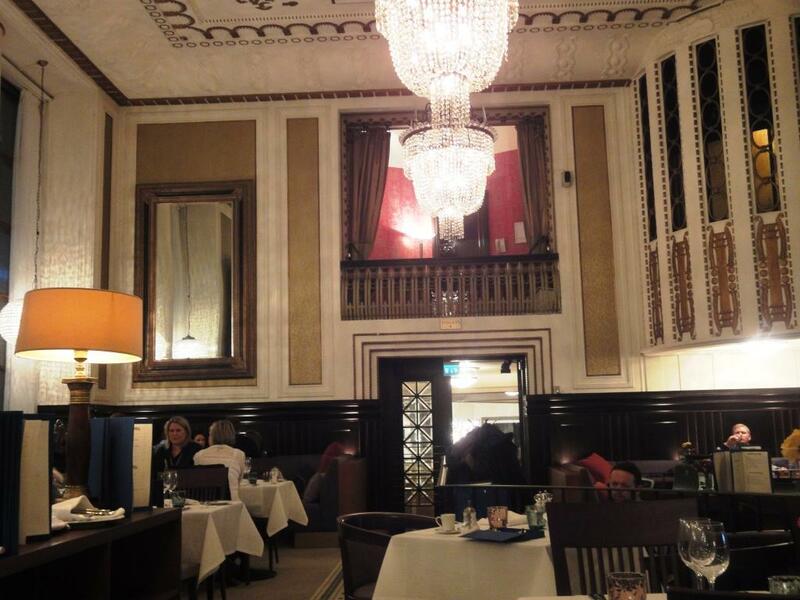 At that time hotel restaurant was famous, but during the past years it has been “trying to find itself”. 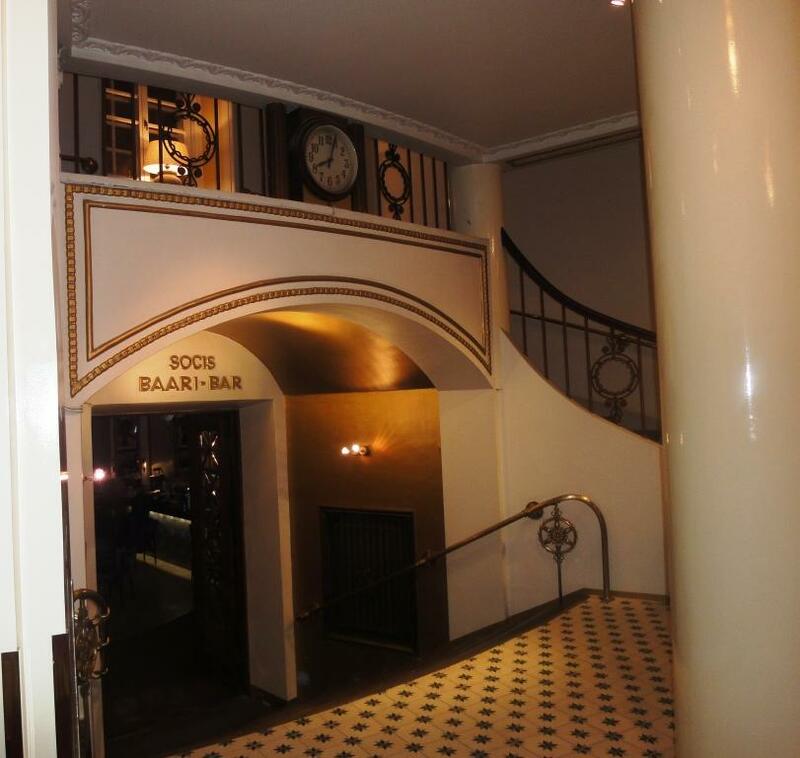 Therefore for several years I have not paid any attention to hotel Seurahuone restaurants or bar Socis, but opening of new brasserie restaurant was of course reason to visit and write a review. With the name Le Havre, restaurant pays tribute to the site where it originally situated, the harbour, and to the most genuine core of European food culture, the French brasserie cuisine. 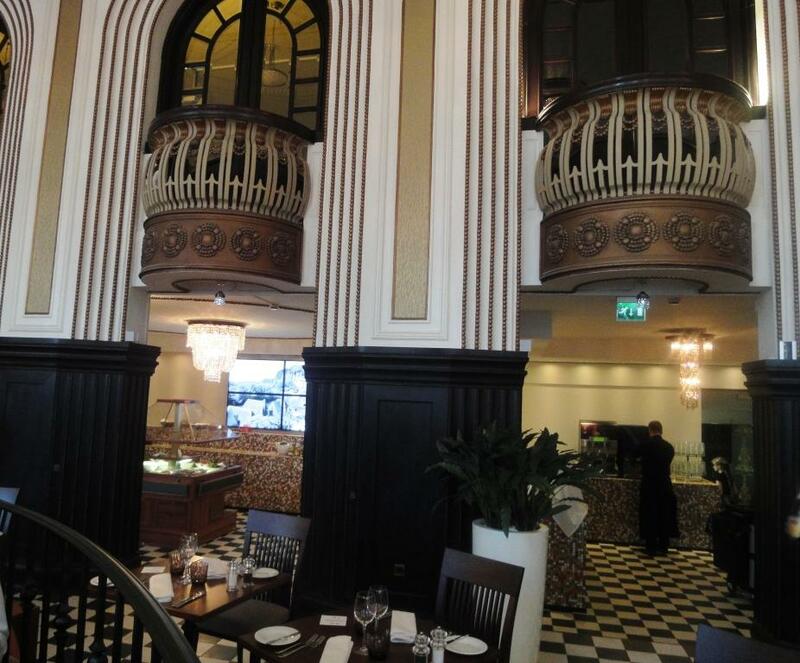 Therefore brasserie is used in restaurant name. 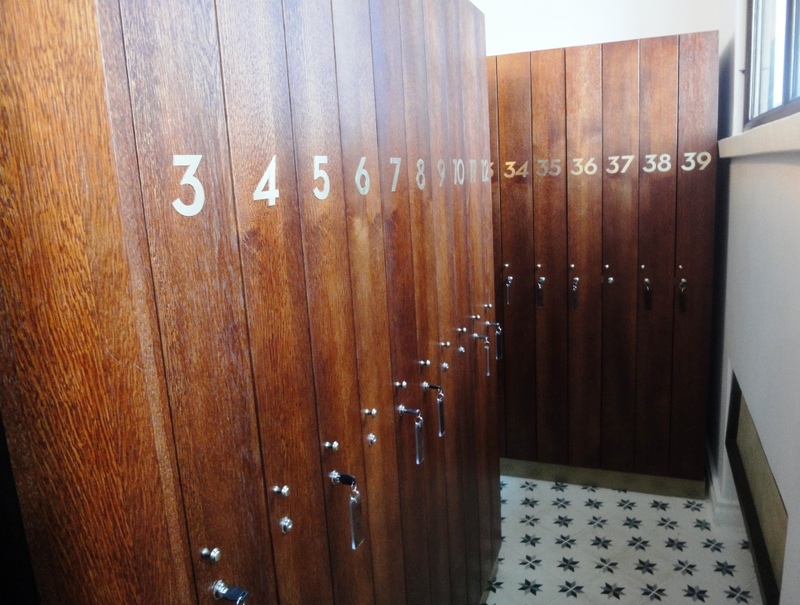 Le Havre was opened 1st of March 2013. 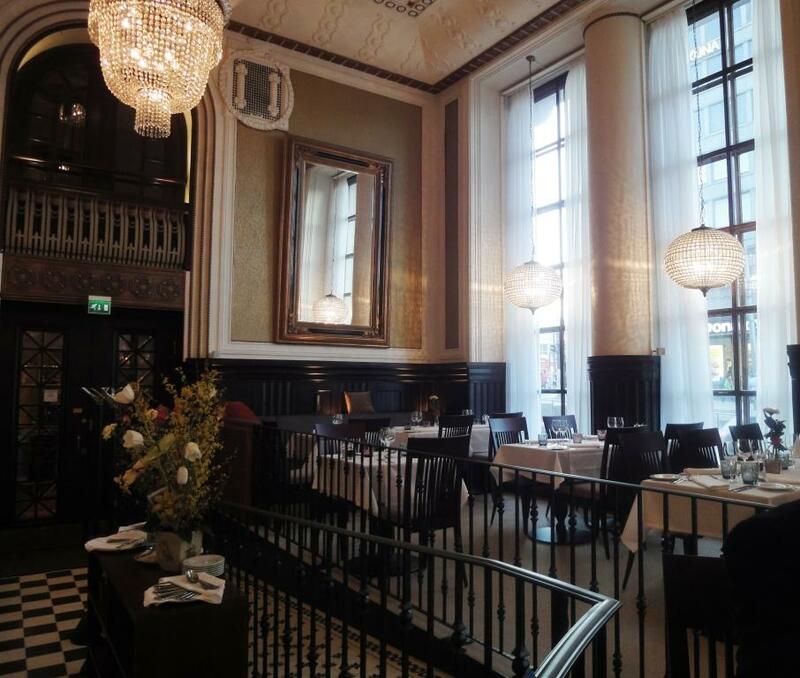 Menu has been created by chef Henrik Poulsen who has been behind of several similar restaurant openings. 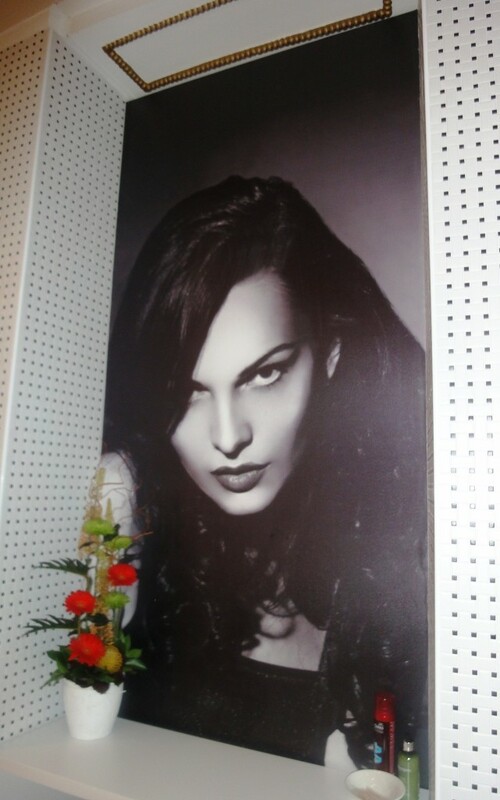 On Sundays restaurant serves brunch which has become quite popular way to attract customers on otherwise so quiet day. Entrance to the restaurant is via hotel doors. 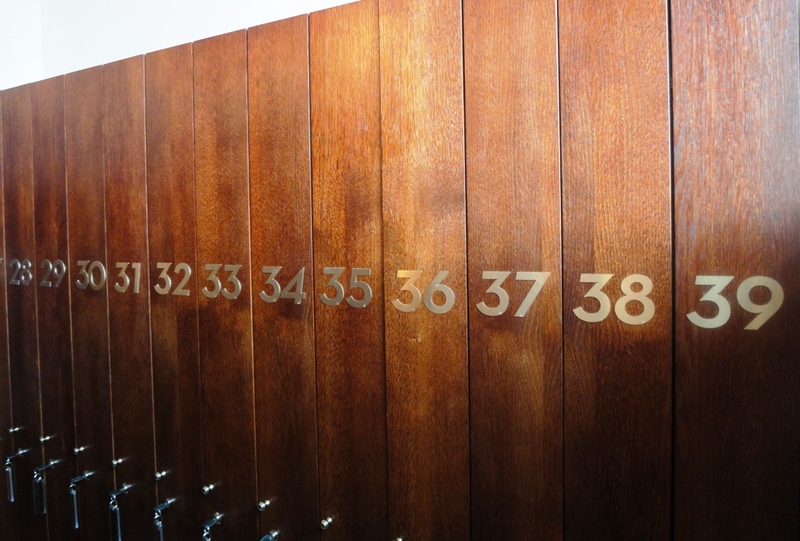 When you come in you can leave your coat in old cabinets looking like they used to be in swimming halls or at schools decades ago. For starters ordered LES FRUITS DE MER Queues de gambas grillées, huile de sésame, vanille, persil Grilled king prawn tails, sesame oil, vanil with parsley and Coquilles Saint Jacques sautées, haricots blancs, amandes émondées et mousse de crabe Fried scallops, white beans, almond and crab foam. 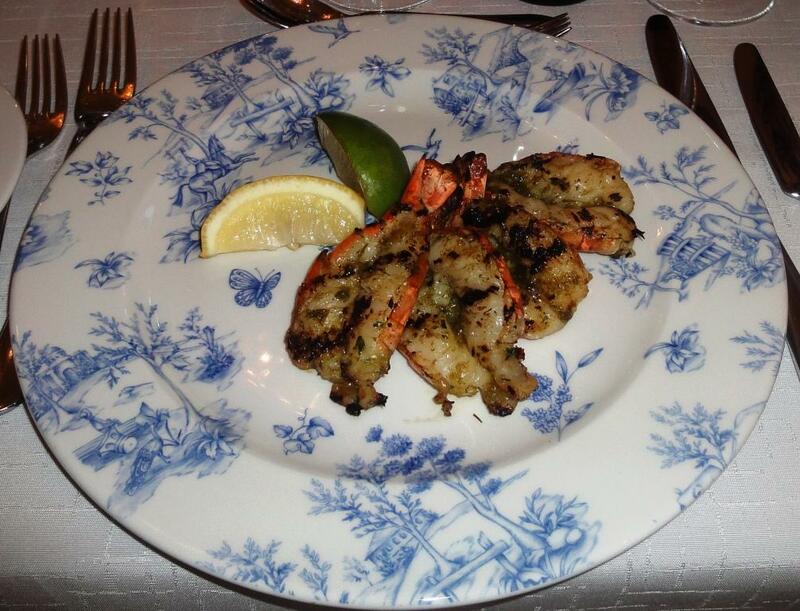 King prawns were excellent, reminded from Mediterranean beach restaurants serving char coal grilled shellfishes. But only four tails :(, could have eaten at least six for starter. Scallops were well cooked and crab foam delicious. Cooking broth had made foam a little bit soggy, but it dit not bother too much. Good start for dinner! For main courses LES PLATS had Poisson du jour Fish of the Day and Cuisse de canard confite, purée de pommes de terre aux truffes, choux de Bruxelles braisés et sauce au cidre Duck leg confit, truffle-potato pyre, braised Brussels sprouts with dark cider sauce. 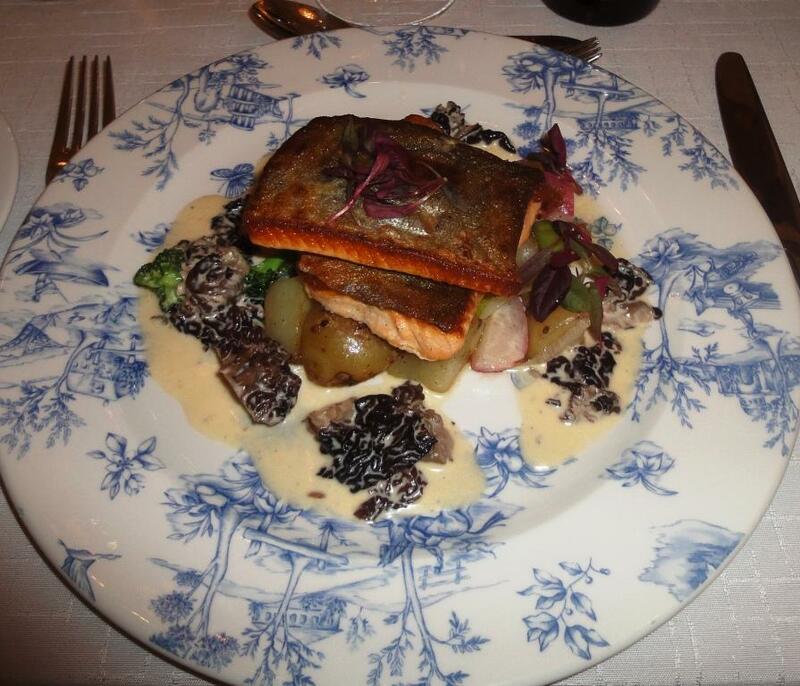 Fish of the day was arctic char and potates with morel sauce. Fish was well prepared because it had not been over cooked. Morels did not include sand or stones which is unfortunately too typical, so well done again! 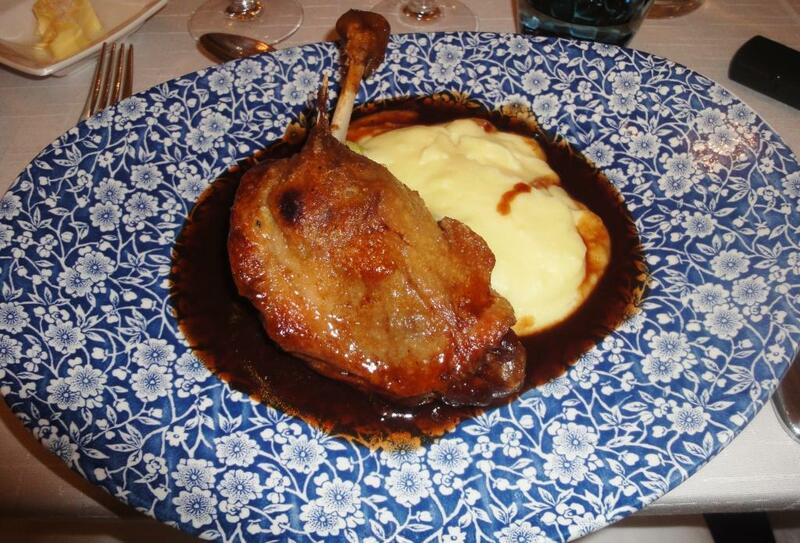 Duck leg was soft and crisp at the same time, really delicious, can recommend. We ordered as side dish Epinards à la crème Spinach simmered in cream because we were first told that certain portions would need that. It came late so we got it on the house. Also it included too much leek which was not mentioned. In overall main courses were success as a whole. For Les Desserts had Tarte Tatin, glace vanille Tarte tatin with vanilla ice-cream and Assortiment de sorbets, salade de figues Assortiment of sorbets with fig salad. 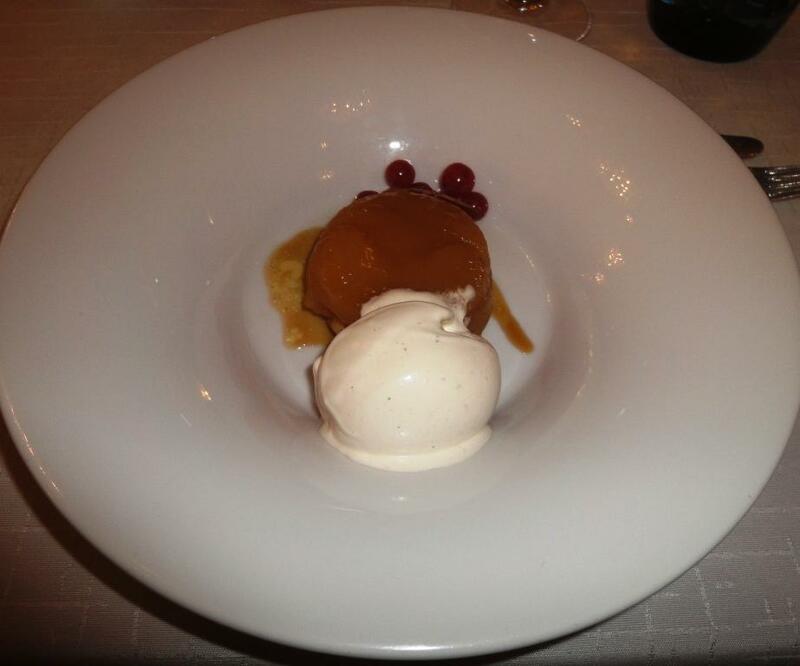 Tarte tatin with ice-cream was scrumptious, caused water to flow from mouth. 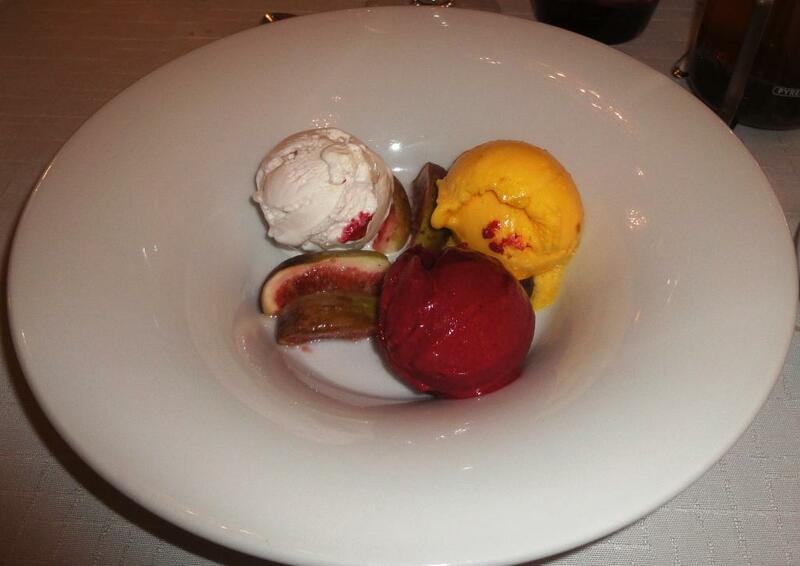 Sorbets were orange, coconut and blackcurrant. They were prepared at restaurant and really well-made. Especially coconut sorbet was pleasant surprise. Weakest part of dining is wine list. All wines come from France, so you really must be friend of French wines. Only one riesling and unfortunately semi-dry. You can also order from two ciders, apple and pear, which are unsual on wine list but so French as restaurant aims to be. Service was quick and polite. Some initial confusion about the menu but otherwise professional. Background music…of course French classics. 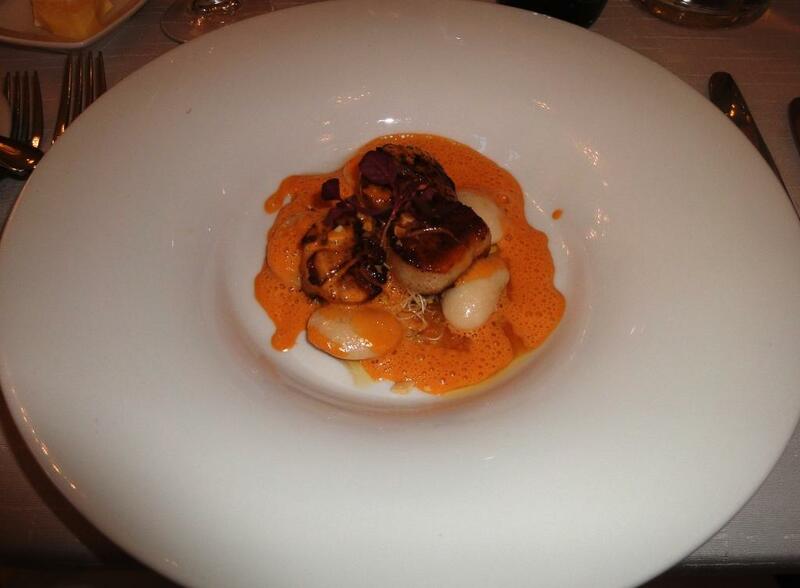 Le Havre complements well the culinary offerings of Helsinki restaurants with succesful French style. 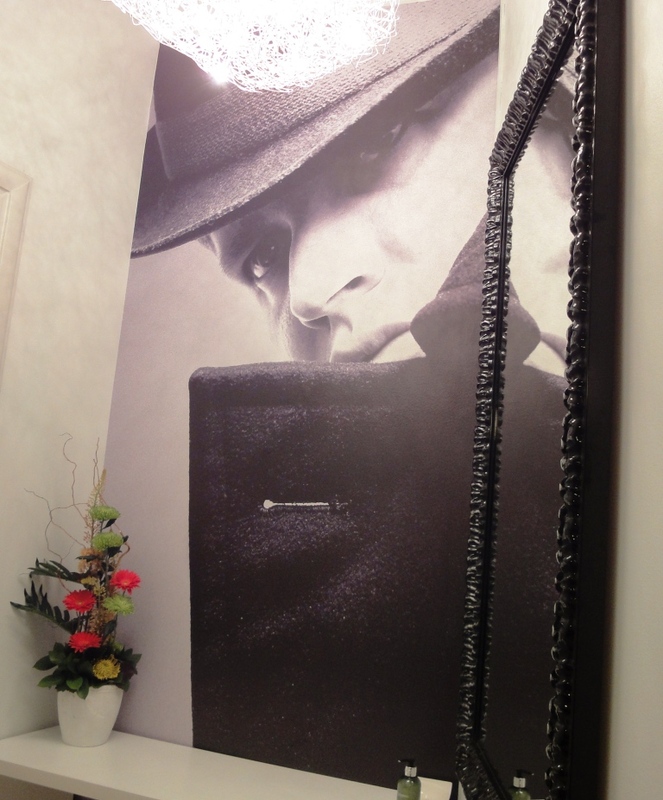 Even the restrooms had been decorated with style…..see the stern eyes in the pictures.